He’s had plenty of free time lately after being dropped from Channel Nine last year. And Peter Stefanovic made the most of the scorching weather on Monday when he went for an afternoon swim at Double Bay’s Redleaf Pool. The 37-year-old war correspondent looked in relaxed spirits as he emerged from the water in a pair of beige boardshorts. Peter had his very own ‘James Bond moment’ as he strolled towards the sand. With the saltwater glistening on his skin and the sun basking down on his shoulders, he was the spitting image of Daniel Craig in Casino Royale. After his refreshing dip, the former Weekend Today co-anchor was seen intently scrolling through his iPhone. It’s possible he was checking his emails and fielding various job offers after officially becoming a free agent in December. 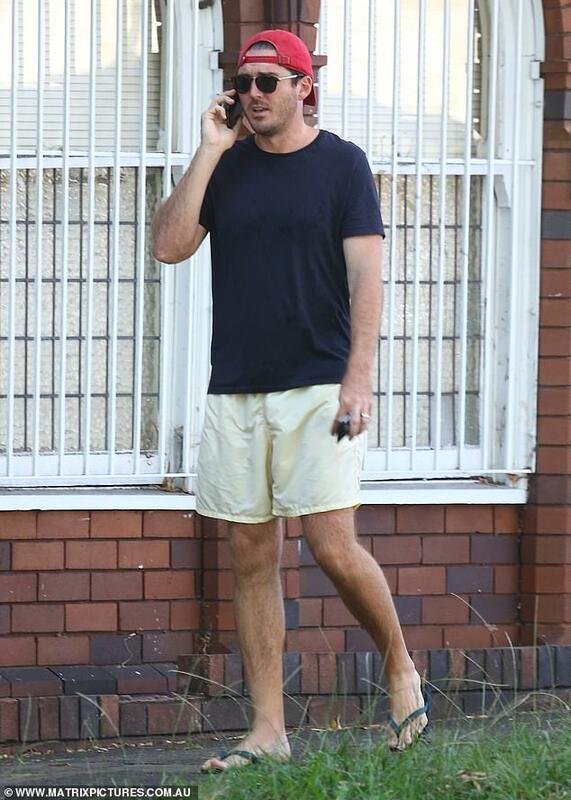 The sighting comes after reports Peter is feeling ‘lost’ in the weeks since parting ways with Channel Nine. While he may still be looking for a permanent position, Peter certainly hasn’t been resting on his laurels. He has reportedly been speaking with television networks, including the ABC, about possible employment. Last week, he appeared on Sky News Australia as a guest. During a segment on The Front Page with Peter Gleeson, he addressed his departure from Channel Nine on December 18. ‘It hasn’t been without it’s challenges, that’s for sure,’ he said, after revealing the past two months had given him the opportunity to ‘reset’. Peter added: ‘Believe it or not, I’m usually quite a shy sort of person, so seeing so much negativity play out in the press for weeks and months on end does have its challenges and can be difficult to deal with at times. 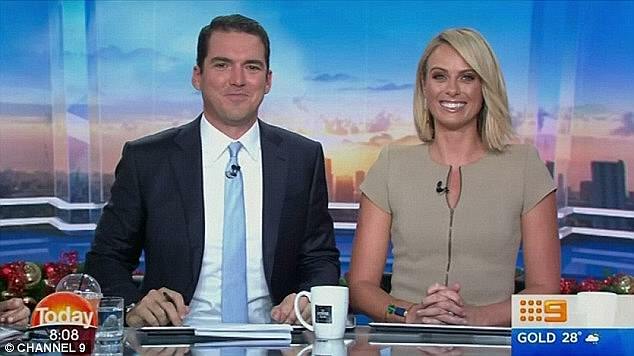 Peter’s wife Sylvia Jeffreys also left the Today show last year amid a breakfast division shake-up but, unlike her husband, has remained with Channel Nine. Last week, it was revealed she would be joining prime time show A Current Affair, the same program where Peter launched his career in 2004. In December, Nine implemented a massive overhaul which saw Peter axed, Sylvia, Karl Stefanovic and Tim Gilbert replaced on the Today show and Richard Wilkins redeployed to Today Extra. It was also revealed last week that Today’s weather presenter Natalia Cooper would not be returning to the program after her maternity leave. The new Today team includes Brooke Boney, Tony Jones, Deborah Knight, Tom Steinfort and Karl’s former co-host, Georgie Gardner.